Valentine's Day, Chinese New Year, Winter Sales, Music, & More! Exciting Paris events during February include final Winter Sales (look for the biggest bargains this month! ), a trio of Chinese New Year parades, a lively roster of concerts and museum shows, and believe it or not, the first signs of spring toward the end of the month. Valentine's Day means you'll see lovely displays in bakery windows, and special menus in the city's romantic bistros. 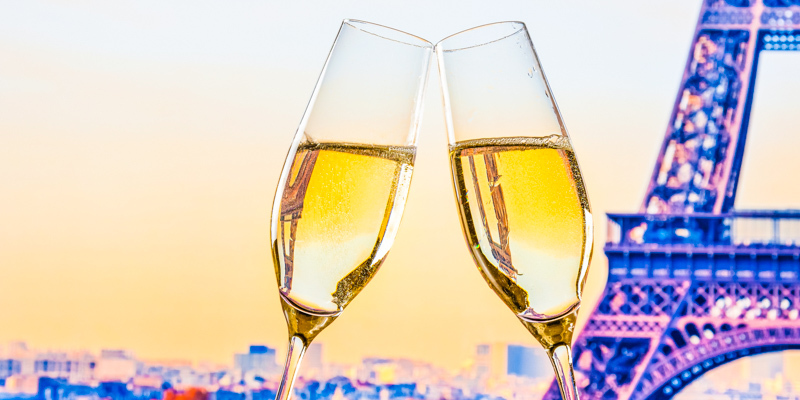 If you're visiting, don't miss the romantic dinners, shows, and cruises on this day. With warmer temperature, longer days, and the first flowers appearing on early-blooming cherry trees, February is a wonderful time to explore Paris, visit museums, and enjoy hints of romance in the air. Celebrate being in the "City of Love" by posing for a photo in front of the famous blue and white Wall of Love in Rictus Square in Montmartre where you'll see I Love You written 311 times and in 250 different languages. Chinese New Year parades, festivities, and other events span about two weeks during February in Paris, home to Europe's largest Asian community. Don't miss the chance to experience the Lion Dancers, colorful dragons, drums, firecrackers, food, and activities! Chinese New Year falls on Tuesday, February 5 in 2019, with most celebrations taking place a week or two before or after this date. The 2019 New Year marks the Year of the Pig. Can you imagine Paris without cars or any of their accompanying pollution and noise? You can experience this on Sunday, February 3 - as well as the first Sunday of every month. 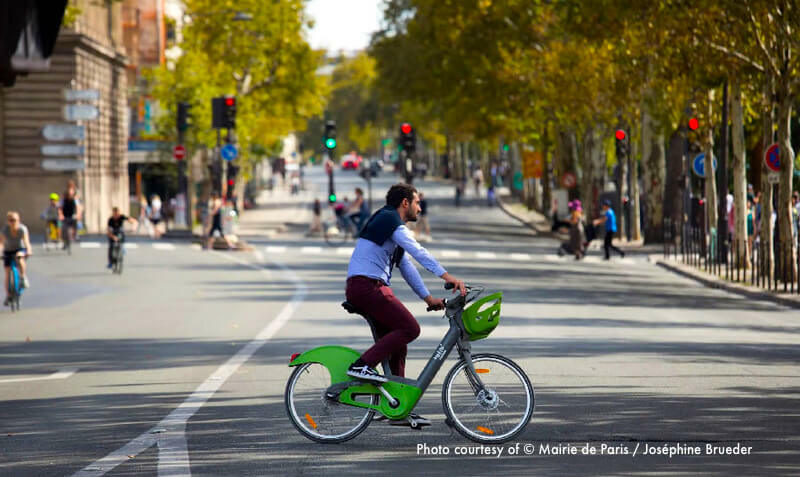 So get ready to walk or ride your bike down the middle of the busiest Paris streets and avenues, and see the city in a new way! Car-free days take place on the first Sunday of each month along Champs Elysees and in many other neighborhoods throughout the city - you can find a list of these areas on the City of Paris's website. Although most vehicles (including electric) are banned, you'll see a few exceptions: emergency and police vehicles operate as usual, and taxis, city buses, and regular tourist buses (Open Tour and Big Bus lines) also run, but at a slower-than-normal speed. Paris has measured a significant drop in pollution and noise on car-free days. So grab your skate board, bike, or favorite walking shoes, and spend the day outdoors enjoying fresh air and tranquility. The famous Paris winter sales end on February 19. 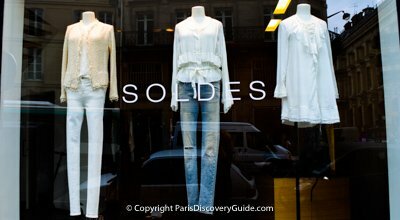 By early February, Soldes signs in store windows all over the city will be announcing final reductions - as high as 70-80%, and occasionally even more. Although sales may have already at some stores, savvy shoppers know that these last few days are when you'll find the biggest bargains. 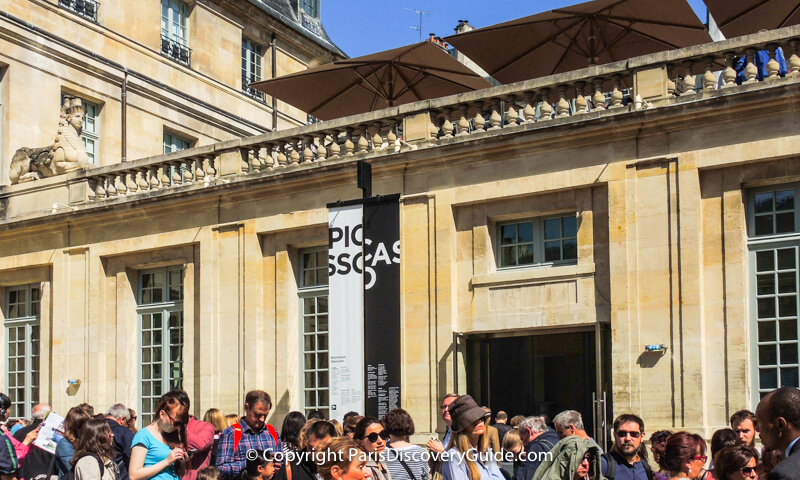 @ Musée Picasso, February 19 - August 25, 2019 - A major exhibit comparing the "theme of the void" in about 150 works by Pablo Picasso and Alexander Calder. Tickets 12.50€. Closed on Mondays. @ Musée Yves Saint Laurent, February 12 - December 31, 2019 - This new presentation of the museum's permanent collection features trend-setting designs in the famous fashion designer's 16th arrondissement former haute couture workshop. Tickets 10€; open Tuesday - Sunday 11am-6pm (until 9pm on Fridays). New Paris Hotels - Want to stay in the newest hotel in the city? Compare all the choices!